I just got back from shooting some videos outdoors and I got to thinking: It is getting really hot in Texas—and summer’s only just starting! It really got me to thinking about air conditioning companies and how they can use social media to attract more customers during the busy season of summer. You know, not that we don’t need them year-round, but let’s face it; summer time is when the air conditioning companies go into high gear. So if you know the owner of an air conditioning company (or if you are one), please show this to them. These ideas will help keep getting them business this summer. You have to post, and post often, to your social media accounts. You want to be in sight, in mind. If you’re not, your potential clients will go to Google to find a company. Not only that, but nowadays people don’t simply call a company based on a recommendation, or a mailer, or based on whether or not they’re on the first page of a Google search. What do they do? They research. They check out their social media before they call the company. If your potential client goes to your Facebook or Twitter page and sees that you haven’t posted since 2010, they’re going to think that you’re not up to date, or you’re not transparent, or maybe you’re even out of business! But they’re not going to call you. 2. Use value-driven content with pictures. So, you know you should post frequently. But what should you post? Post tips, and content that gives your clients some real value. But more than just posting, always have a picture. Show them what you do. If your post is about changing out an air filter, show an air filter. 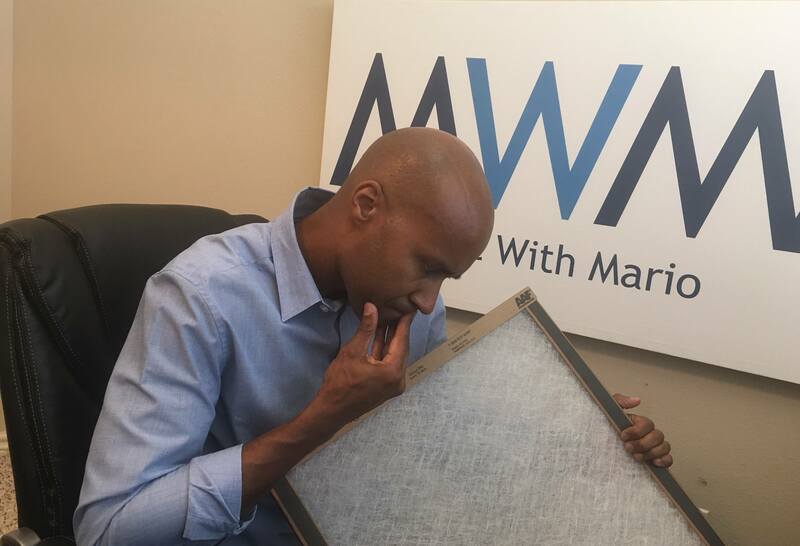 You could show a dirty air filter next to a clean one. Show a dirty A/C unit next to a clean one, so that your clients can see the difference. People really connect with these visuals. It makes a huge difference. 3. Show off your team! This is one of the best things that we do for our clients. We love to show off our clients’ teams, because at the end of the day, people love to do business with people, instead of brands and logos. Get your front office people on Facebook. Get the company owner on Facebook and Twitter. Get the crew taking selfies! Obviously you don’t want to go overboard here, either. But people love to know not just what company is coming over to their home, but who is coming over to their home. Get your employees in the forefront. People buy on trust, and if you are transparent with who you are, you are going to gain a lot more trust. 4. Use the NextDoor app. Get all of your employees on the NextDoor app. We find leads and referrals for our clients almost every day just from the NextDoor app. And since we only have one business per industry, we can refer our clients with confidence. If someone mentions they need a service and we have a client in that industry, we refer them. So if you work for an A/C company and someone in your neighborhood mentions that they’re looking for an A/C company, then boom! You can reply back right and earn that business right there. Use short videos, like you see on my website, to give tips and explanations about your business. Remember to always lead with value. With a video you can show yourself or your team actually doing work, or you can explain some part of your industry in general. Videos are performing so well on Facebook and YouTube—make them work for you! 6. Search for leads on Twitter. So, I hope these six tips for air conditioning companies help you to take advantage of the Texas heat! If you know the owner of an A/C company who would like us to do all these things for them, forward this post to them! Thanks and stay cool!